Yarn | Next Line Quiz for "Monty Python and the Holy Grail"
What line is next for "Monty Python and the Holy Grail"? 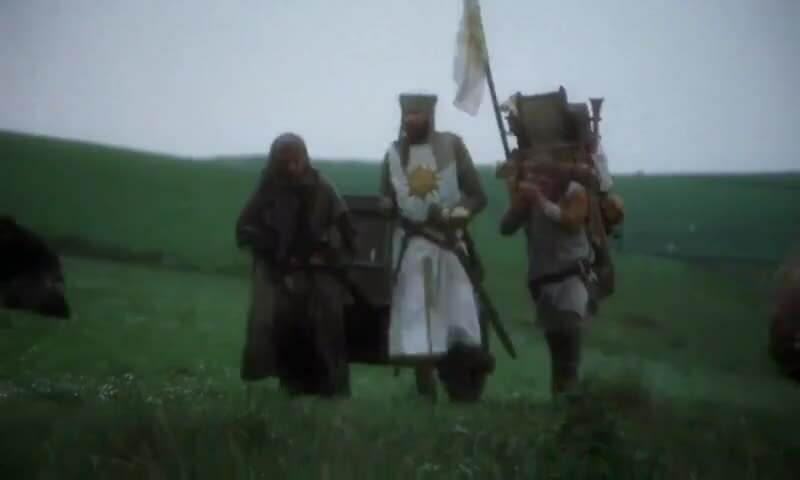 Quiz: What line is next for "Monty Python and the Holy Grail"? Watch a short clip and then guess the next line. Yarn is the best way to find video clips by quote. Find the exact moment in a TV show, movie, or music video you want to share. Easily move forward or backward to get to the perfect spot. It's available on the web and also on Android and iOS. - But come. - No, please! - What? - You got us all worked up! - Try to relax. - Are you sure that's necessary?